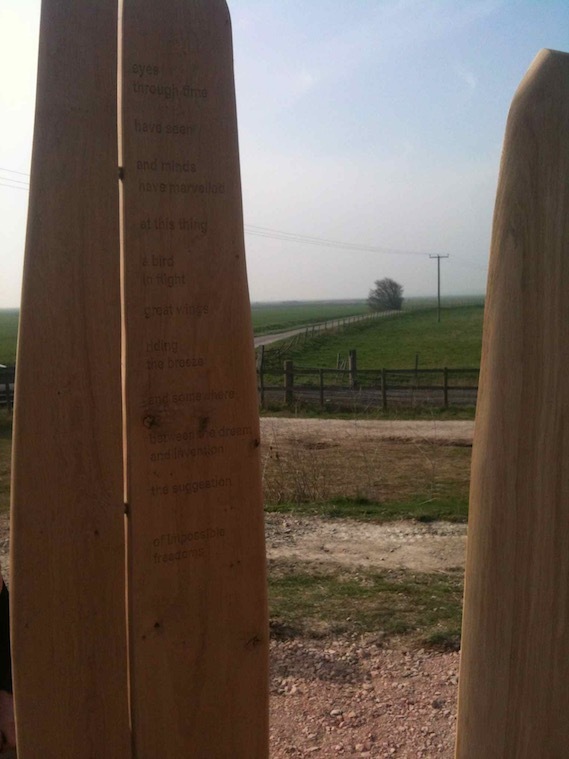 As part of a writer’s residency in Leysdown-on-Sea, Mark C. Hewitt wrote text for ‘Raptor’ and ‘Edge’, two resting points by artist, Alun Heslop, located on the Isle of Harty Trail, a cycle route through beautiful open countryside (including an RSPB bird sanctuary) between Leysdown-on-Sea and the hamlet of Harty. 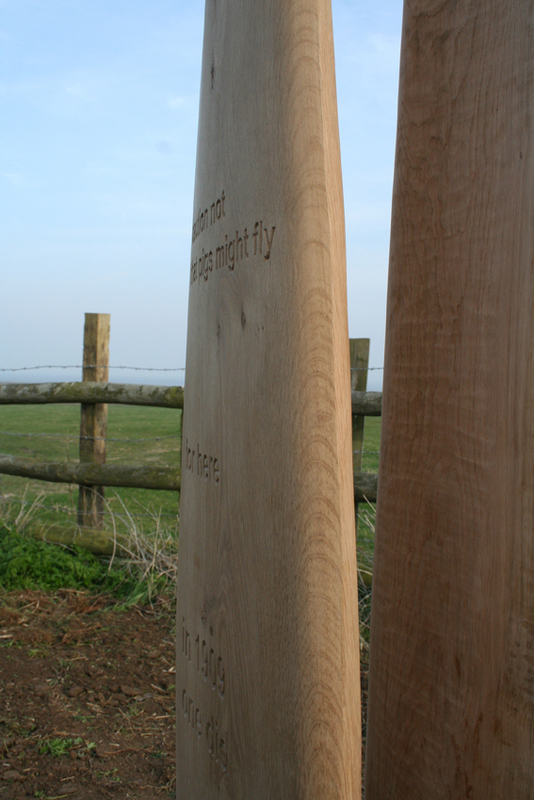 The work, which was commissioned by FrancisKnight as part of wider project entitled Leysdown rose-tinted, was installed during March 2012. 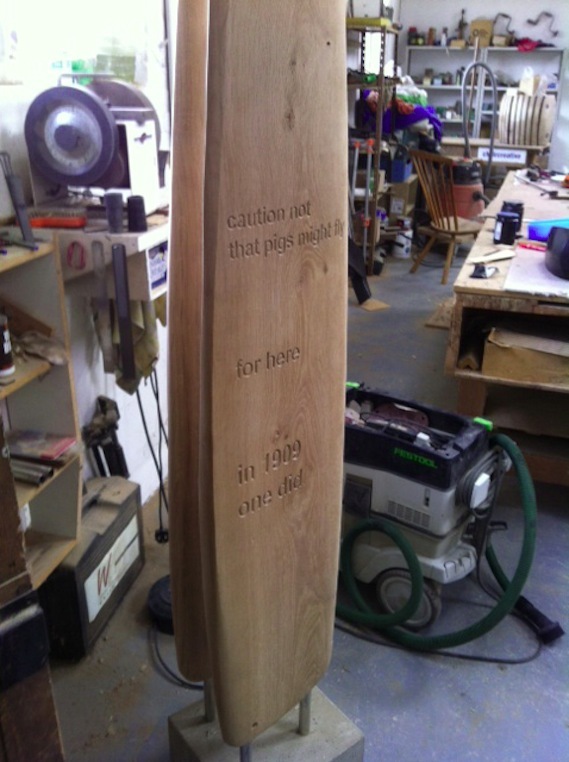 The text carved on to the resting points is a short poem in three sections entitled The Harty Triptych. It is published on the North Kent Wandering Words writing website. 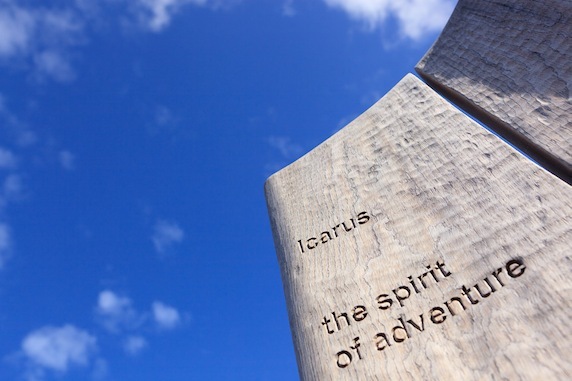 As well as evoking the majestic grace of the Marsh Harriers that frequent the habitat, the poem evokes the flights of pioneering aviators over the same stretch of ground during the early twentieth century and draws a link between the two.